I signed up for this race around the middle of 2017 and had been looking forward to it for some time. Due to the weather conditions we weren’t actually told it was going ahead until 1:58pm the day before. I really hoped it wasn’t cancelled as I would have still had to do a long run on my own but when I discovered it would involve 2-3 hrs of travelling given engineering works I felt conflicted. Unfortunately, the idea of tearing myself out of bed is I’m sure what lead to a disrupted nights sleep / my concern my alarm wouldn’t go off. 6:45 am on Sunday I was still debating the idea of rolling over and staying all cosy in bed. Needless to say I ended up dashing round like a mad woman, despite having laid everything out the night before and ran out of time to have breakfast. It wasn’t a good start. I grabbed a Cliff Bar at London Bridge station and shoved it in my face as I made my way to the start line. Baggage drop went smoothly on the south side of Tower Bridge and I then crossed the bridge and made it to my starting pen, on the north side of the river. I brought a very old jumper to keep me warm at the start which I was very grateful for. For some reason at 8:58 they announced 2 minutes to the gun and told everyone to take their layers off, it was at least another 15 minutes until my wave actually got started, I’ll know for next time to Ignore them until I actually see the start line. I had said that I was going to use this as a training run, run at my intended marathon pace – 11.24 and practise my fuelling and hydration strategy. I had a plan and I didn’t stick to it. I got swept up in the excitement of the start and my first mile was 9:47. I saw Mo Farah whizzing past on the other side of the road as he approached the 5 mile mark and got a real buzz. Then we entered what I can only describe as the tunnel of doom. It was dark and stuffy and went on forever. I was sweating and struggling to breathe properly. It wasn’t at all pleasant. I kept reminding myself that it was good mental training for the tunnels on the Paris marathon course….. Round Canary Wharf, my least favourite part of the London marathon course, but I was just grateful to be out of that tunnel! We then headed back on ourselves along what I can only describe as a hazardous selection of cobbled streets. My feet must have been gripping the bottoms of my trainers for some stability at this point because I came away with a sore inner foot. It was a relief when the Shard came into sight and crossing Tower Bridge was one of the best bits of the course, unfortunately I couldn’t stop comparing the race to the actual marathon and that rather put a dampener on things. But what did I expect, it was the first time this race had been organised and very little can compare to the buzz of London marathon. Tower Bridge behind us we heading into Rotherhithe and more cobbled streets…. an unwelcome return. I just kept telling myself, run to Greenwich and you are done. I thought about markers along the way to break it down, knowing where certain people are going to be cheering was a great one, I got a huge boost from two of the best cheerleaders you could want at a race, Laura Murray and the LDN Brunch Club around mile 9 and then Becca about a mile later. I hit 10 miles and thought it’s just a 5km to go. In truth things were starting to hurt by this point and I felt frustrated that this felt a lot harder than the previous week’s 16 miles. I bumped into the super star Carly who I managed to keep up with for about half a mile. 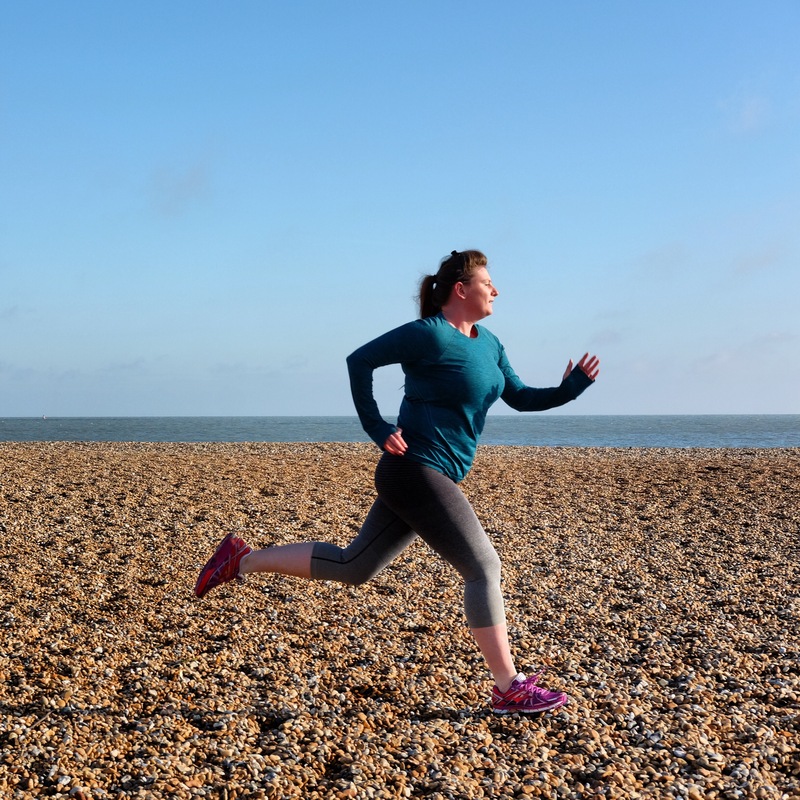 She has two young children and is absolutely smashing her marathon training for Paris. When we first met in 2016 she was chasing down her pre baby fitness and is now smashing her PBs with every race! It was another real boost to run alongside some one very inspirational. Those three miles seemed to go on forever. I just wanted to be done. I had toyed with the idea of carrying on for another five miles after the finish to make it a 18 mile training run but I just didn’t have it in me. Sometimes a finish line can signal feelings of euphoria and pride. All I thought was, thank f**k that’s over I want to go home. Managed a smile for the post race pic! I wasn’t pleased about how far it seemed like we had to walk to get our baggage or getting trapped in a one way system that forced you to go into the ‘festival’ in the park before you could exit and go to public transport. It probably wasn’t any worse than usual but I was just grumpy and wanted to back home already. 2hrs on a rail replacement bus was not what I needed. It was greatly appreciated that we were given foils blankets to do the walk in though. I didn’t particularly enjoy the course, it felt like all the worse bits of London Marathon with a horrid tunnel thrown in. Again this is largely down to the direct comparisons I was drawing. I’ve heard mixed reviews from other runners. In terms of hydration and fuelling however I think I came pretty close to spot on. The hydration vest, which I was going to include a review of in this post, was so great it deserves a post of its own, which I will do early next week. For fuel I used Berry flavoured Shot Bloks, I had my first at Mile 3, then took one every two miles until Mile 10, when I started shovelling and nearly choking on Haribo Tangytastics! 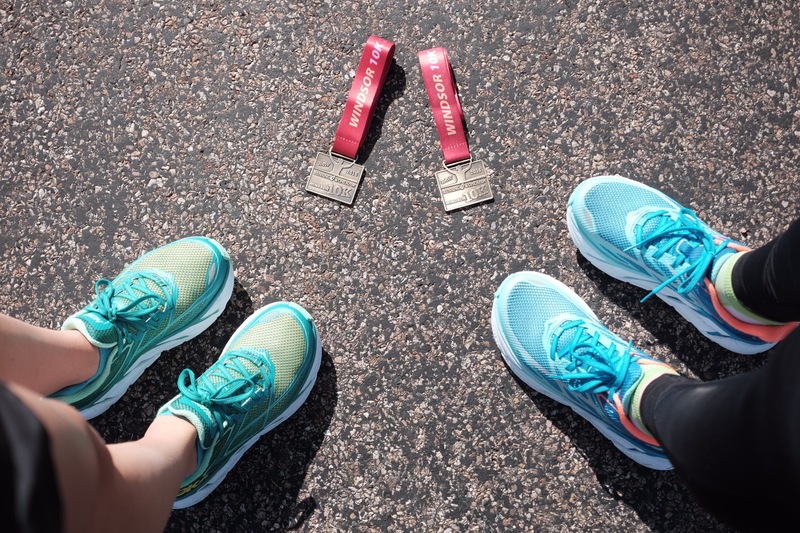 Am I ready to run a marathon in four weeks (and then again in six?) I’m not too sure. Will I finish both Paris and London regardless, and do my best to enjoy them, absolutely. Up next Surrey Half marathon on Sunday 11 March. Hoping to knock eight minutes off my time from this race and finish in under 2hrs 30. Major life changes have been happening in the last seven days! We bought and moved into our first home, so I’m now a home owner (it was a life goal before turning thirty) and I moved jobs. Both of which I’m very excited about and are progressing my life in the right direction, but are equally exhausting to do at the same time. So Week 4 of marathon training can best be described as, not a sausage. Other than the packing, lifting, more lifting and unpacking of lots of boxes and furniture, I didn’t run or go to the gym the entire week. Honestly, I didn’t even have the headspace to panic about this, what with everything else I had to co-ordinate and think about. I had planned to get a run in over the weekend but I also managed to roll my ankle on the stairs on Thursday evening so was nursing a minor sprain with some almighty bruising and I was just plain tired. Week 3 had however been a relatively strong week. Three runs, a gym session and a snow walk in the bag! On Monday and Wednesday I had two very different run commutes. One was extremely strong, with an average pace of 9:42 pace over 3.23 miles. I felt ridiculously good on the run and it was like a culmination of all the training since October. The second was distinctly average at best, my legs felt like lead and my watch died. It felt a lot slower. Saturday’s long run was 7 miles which took me 1hr 20 mins at 11:26 average pace. Distinctly slower. So it took me 11 minutes to run 0.6 miles further than the week before. Luckily with all the packing I had to do it didn’t give me time to dwell too much. If anything Week 3 reinforced for me that not every run or week in marathon training are you going to see improvement. It’s about being able to process that and not mentally let it hold you back moving into the following week. So Week 5 is underway. One run down. First week in a new job, I’m likely to be tired and need to prioritise rest to be able to take on all new information. Equally I haven’t currently rearranged my gym membership to a branch closer to the new flat and so the gym sessions are mostly likely to be postponed this week. Very glad I decided to opt for a twenty week training plan to allow for weeks where it’s not possible to stick to the plan! I am also really excited for everyone doing 18/16 week programmes to start their marathon training, I love the community spirit and marathon hype! 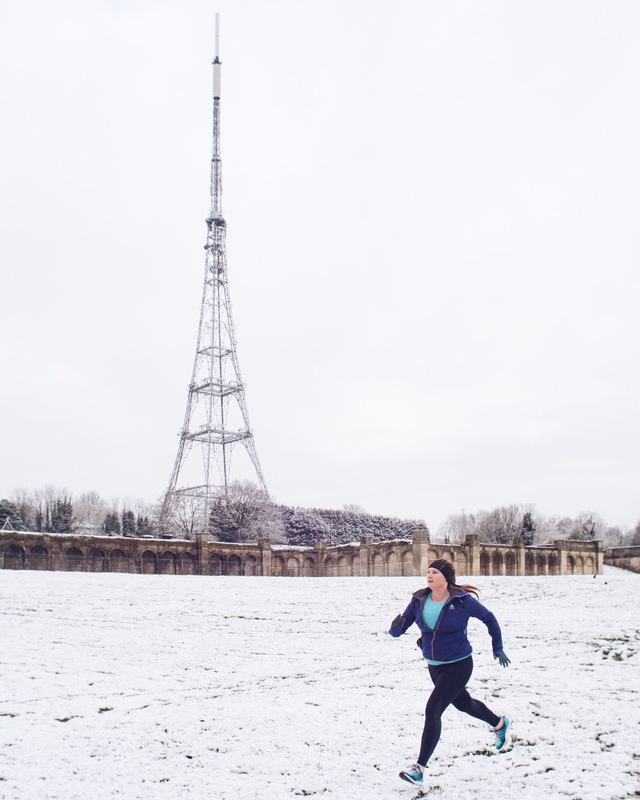 ‘Baby it’s cold outside’ – wow the temperatures have really dropped over the past week making for three very chilly runs. On Saturday’s long run I finally nailed the layering combo, for now at least, until it decides to get even colder! My short runs this week involved two partial run commutes, I forgot how hellish it can be to battle the crowds of central London. I was forced off the pavement at one point when a group of people decided it was acceptable to walk four abreast towards me on a pavement. Don’t even get me started on people walking eye down glued to their phones. Other people will look at you from a distance and it’s like a game of chicken as to who is going to dodge. I fully accept I’m the one going above walking speed and will weave in and out as much as necessary but come on, could we just co-exist nicely, festive goodwill and all…. share the damn pavement! So Monday the calves were cripplingly tight. For all the stretching etc I was rather frustrated. On Wednesdays run, for the first mile I was trying to pin point when the tightness had started. Had a bit of a light bulb moment, it was when I started wearing my extra firm compression socks to run in, they did wonders for my shins. Stopped the watch, sat at a bus stop with some bemused onlookers, whilst I yanked my socks down from under my running tights, with some difficulty! For the next two and a half miles my legs felt glorious. Problem sorted. Except then my shins weren’t as happy….. are compression gaiters are thing? Saturday I had 6 miles on the plan. I planned and out and back route from home, but by the time I ran 0.2 miles in the wrong direction, I decided to see where I was in terms of a 10k time and went for 6.4 miles. My last time for a 10k, that I remember, was 1 hour 14 minutes. So I was pretty happy Saturday’s run was done in 1:09:14 and I wasn’t going at maximum effort for the entire run. This run left me feeling really strong and positive. With 9 weeks until the London Winter Run 10km on 4 February, I’m aiming to shave ten minutes off and come in just under an hour. If you fancy joining me for a sub 60 minute attempt please let me know. This is definitely the sort of race best shared with others. You might want to think about signing up by 6th December as afterwards the entry fee increases. Little disclaimer, I’ve kindly been given a free bib for the race, in exchange for spreading the love, but I enjoyed it so much last year I would totally have paid the entry fee. Other than my three runs, I got my two rest days, spent packing up our flat for moving next week and one out of two cross training sessions done. Tuesday evening 8:30pm I found my train coming from central London, terminating at my train station and 16 minutes until the next train to get to the gym…. I’d been up since 6:45am and wanted to be home and having eaten dinner before 10:30pm. Sometimes these things happen. I’m working on not feeling overly guilty if I miss one session. Heading into Week 3 excited to work on the progress I’ve seen over the last few weeks. 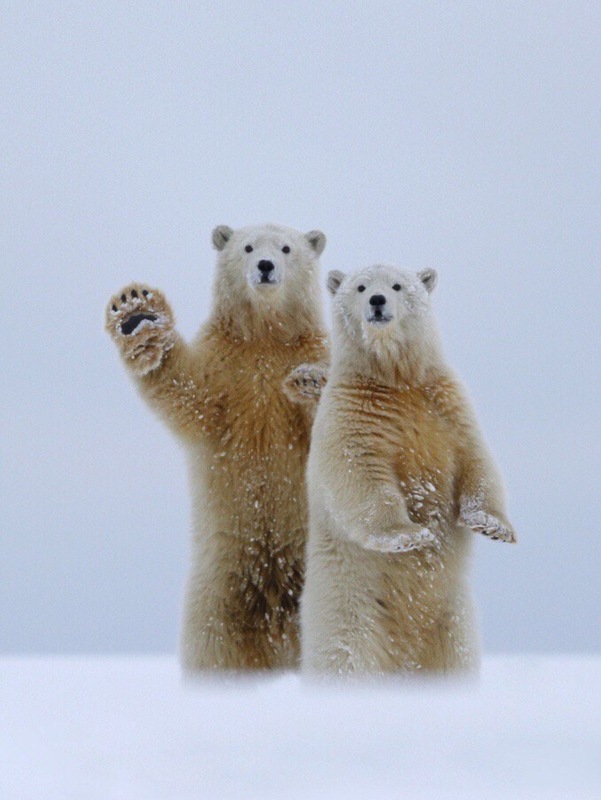 Hello or more appropriately Bonjour! 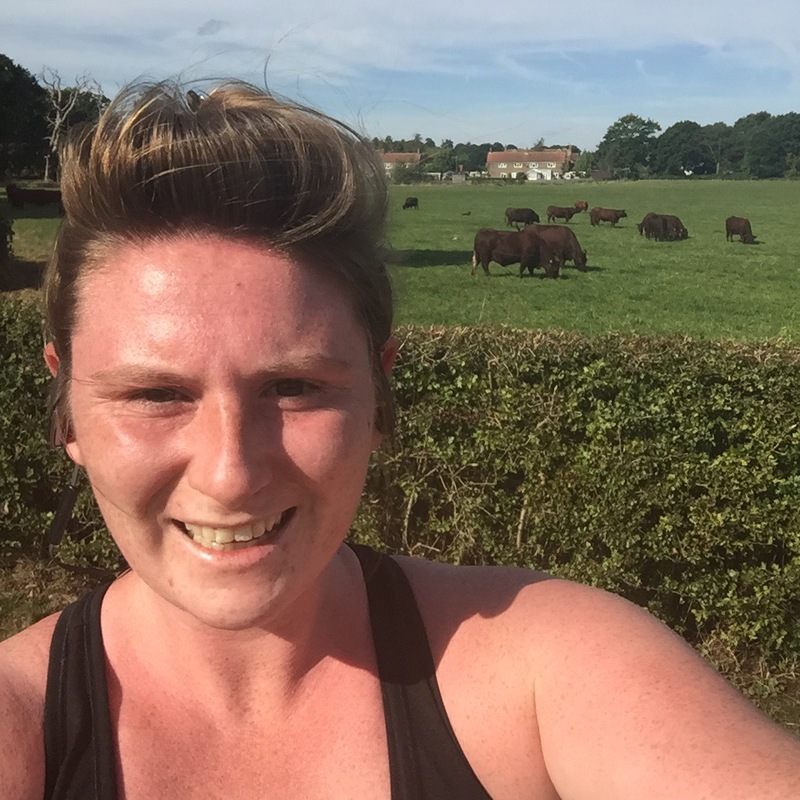 It’s been a while but with training for marathon number three under way it felt like the right time to reignite the blog. Back in 2015/16 training for Brighton marathon my goal was to simply finish. My training was very much the hit and miss of someone who had only recently started running and was totally clueless. My goal was to simply finish. Fast forward to London marathon in 2017, I only found out I had a place with 12 weeks to go and my training was an utter shambles, I just wasn’t in the right head space. I relied solely on the fact that I was bloody minded and had done the distance once, I could do it again. 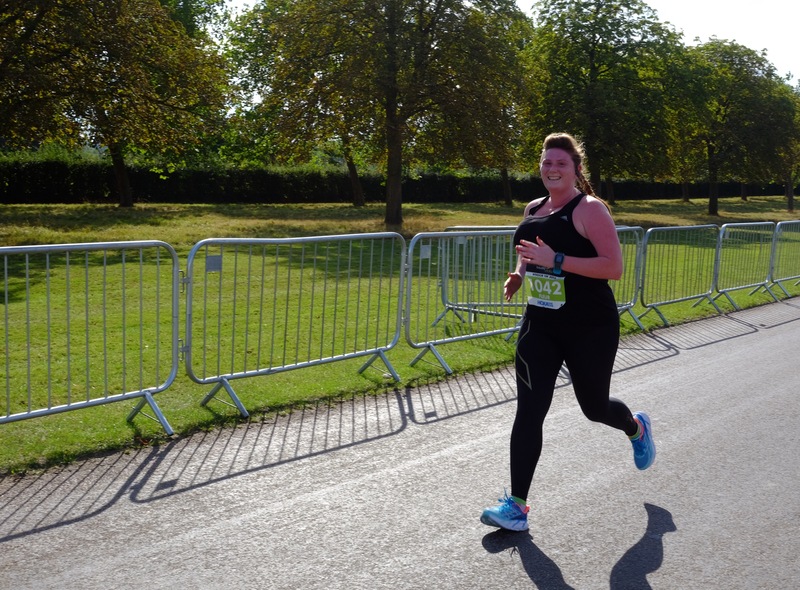 I hauled myself round that course and vowed I would never put myself through running a marathon again without properly training. So this is it. Paris 2018. My first international marathon, in one of my all time favourite cities. Time to see what happens if I commit, like really really commit and push myself further than I’ve been willing to before. A special thank you has to go to ASICS for the bib (*spot in the race) and the kit you will see me wearing through my training. I decided to do two weeks of pre-marathon training to get my head and legs in the game, followed by a twenty week training programme. I found a number of training plans online and after painstaking analysis of them put together my own, drawing the bests bits from different sources and fitting it round my schedule. Two weeks of pre- marathon training went without a hitch, minus one missed 40min run. It was a bit of a shock to the system but it helped me to focus and confirm that I really wanted to do this. I found this fire starting to burn in me that screamed, the timing is right let’s do this. I haven’t felt with running for a very long time. Week 1 of official training saw a great deal of tight calves and perseverance but I got the job done. I received lots of helpful tips on how to remedy this and sports massage recommendations. So it’s morning and evening stretching sessions and I’m going to get myself booked in before this becomes more of an issue. Monday – Wednesday went smoothly. On Thursday there was a cross training session on the plan but having been unable to sleep for several nights and having seen 4:20am that day I was exhausted and decided to take it as an additional rest day, which was far more valuable to my body than 40 mins on a bike or rowing machine. I need my sleep, I don’t function well without it which doesn’t go well because come 2-3am I’m a world class worse-case-scenario analyst. Last week my anxiety levels were off the charts, with exchanging contracts on our first flat, potentially loosing the new flat, potentially not having anywhere to live as we have to move out of current flat. Of course none of this ended up happening. Despite the worrying, I have noticed a significant improvement in my general mental outlook and wellbeing, consistently exercising over the last three weeks. I’m also starting to feel physically fitter after such a short time, so I’m excited to see what can happen in the months to come. Heading into Week 2 ready and raring to go. Let me know if you are planning to run a spring 2018 marathon, sharing the highs and lows of marathon training with the running community I find really gets you through those tough weeks. Disclaimer: I am very grateful that ASICS have given me a place to run Paris Marathon and will be providing me with running kit to see me through my training. This is not a paid collaboration. This year I’ve run everything from a 3 mile plod on to a marathon, with a number of 10ks and half marathons in between. I am not a speedy runner, rather I use running to explore new places I visit, trails I stumble upon and to keep the stress levels at bay. With an intense job, I take great pleasure in lacing up, headphones in and having some “me” time. In the two years I’ve been running myself, I’ve heard many runners rave about Brooks shoes but was yet to try them myself. So I was delighted when Pro Direct Running asked me to test the new Adrenaline GTS 17. What took me so long! As the shoe was yet to be released I had no idea what I would discover when the box arrived. Immediately I was struck by just how colourful they were. 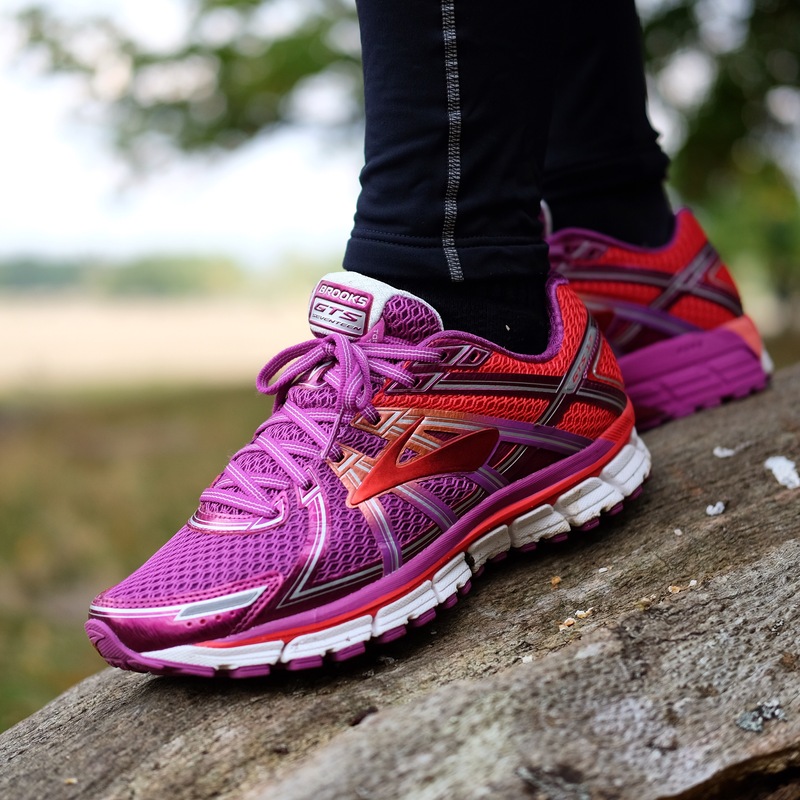 Perfect to brighten up any dreary winter run. This was not a shoe that wanted to be pranced between treadmill runs and brunch, this was a serious running shoe that wanted to be taken out in the great outdoors and get a bit muddy. 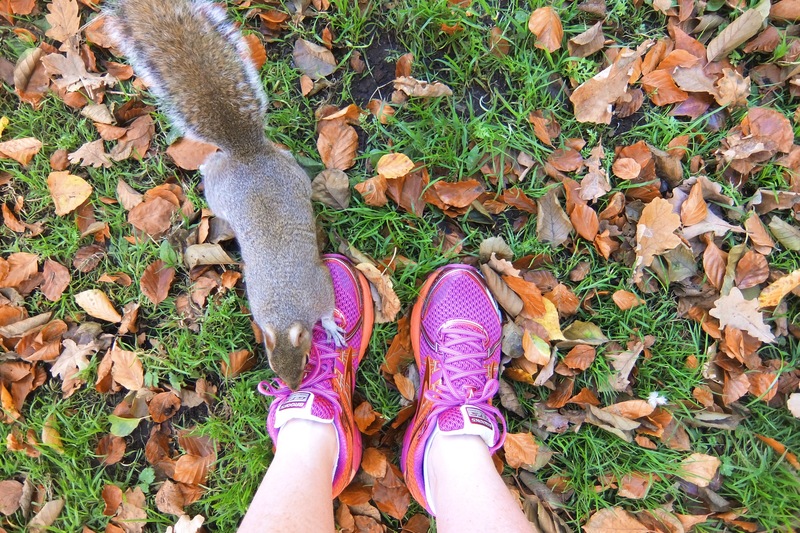 I christened my Brooks with a part paved/part trail run, and some general frolicking, in Richmond Park. Usually I would notice a significant difference when changing terrain but the transition was barely noticeable. I usually opt for shoes that provide an extremely cushioned almost bouncy ride, which on trail like surfaces I don’t feel works for me. Instead of staring at the ground worried I might roll my ankle on a tree branch the GTS 17 is a stability shoes with a snug fit and solid grip on the sole that made me feel secure enough that I was able to take in my surroundings. I even made a friend. Running through the leaves with slippery wet patches the shoes continued to impress me. They have been released at just the right time to tackle winter running conditions. They even passed the pebbled beach running test. I really did put them through every terrain/weather condition available to me. At the end of one run I even conducted a puddle test and I’m happy to report my feet remained perfectly dry. One of the features I noticed on the GTS 17 is an added layer of material over the big toe area on each shoe. From previous experience of my big toe wearing through the top of a shoe whilst the rest of the shoe would otherwise be fine to continue running in, this is a genius idea! Shin splints have plagued me on and off for some time and during each of my runs to date they have been pleasantly absent. Having looked into shoe’s features I think I’m attributing this to the “full-length segmented crash pad which accommodates any foot landing and delivers smooth heel-to-toe transitions”. I couldn’t have put it better myself. 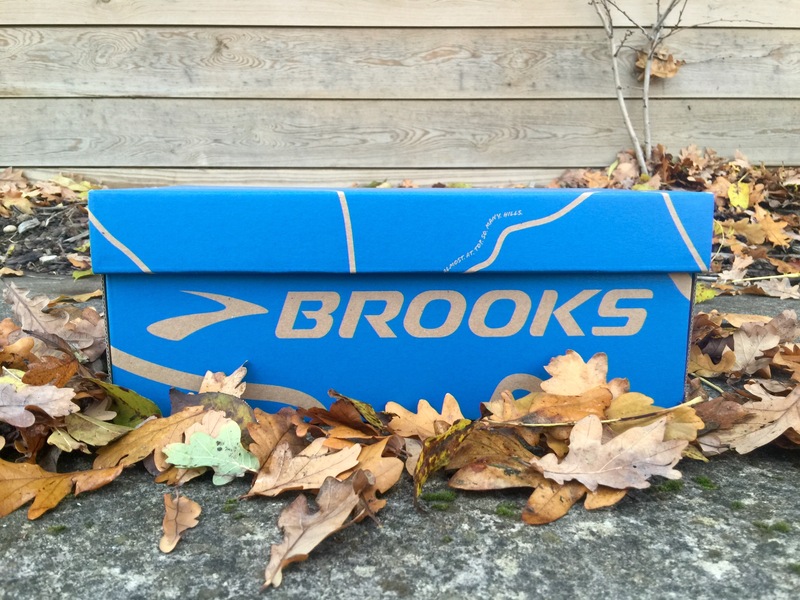 For more details on the technology behind the shoe, head over to Pro Direct Running’s Twitter this evening as they are hosting a takeover by a Brooks Technical Rep.
Next weekend I am taking on a very tough 10km race up Box Hill in the Surrey Downs. With a multi-terrain course, November weather conditions and steep elevation I am relieved to have the GTS 17 to hand. Details on how they performed to follow in my race report. So if you are looking for a new pair of kicks to entice you out in the Winter months, want to treat yourself to an early Christmas present or add a pair to your list for Santa, head on over to Pro Direct Running’s website. Just try and not get too distracted by all the other beautiful pieces of kit available. 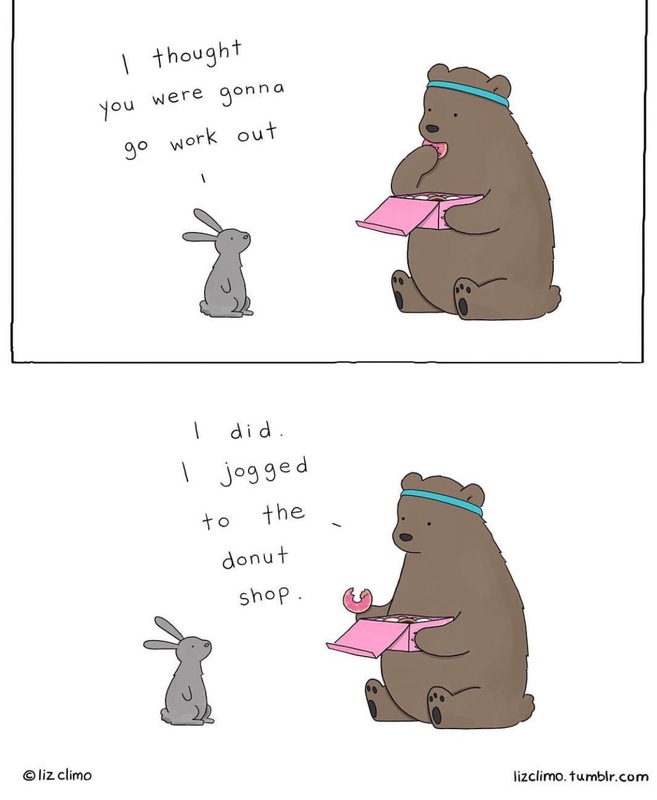 I’ve set myself the goal of regaining my pre-marathon fitness levels. Since April I’ve slowed down and I can’t hack any sort of distance either. First up is improving my 10km time. My PB is 53:01 and its always been a goal to run sub 50. My last 10km race took me 01:09:43 – around 16 minutes slower! 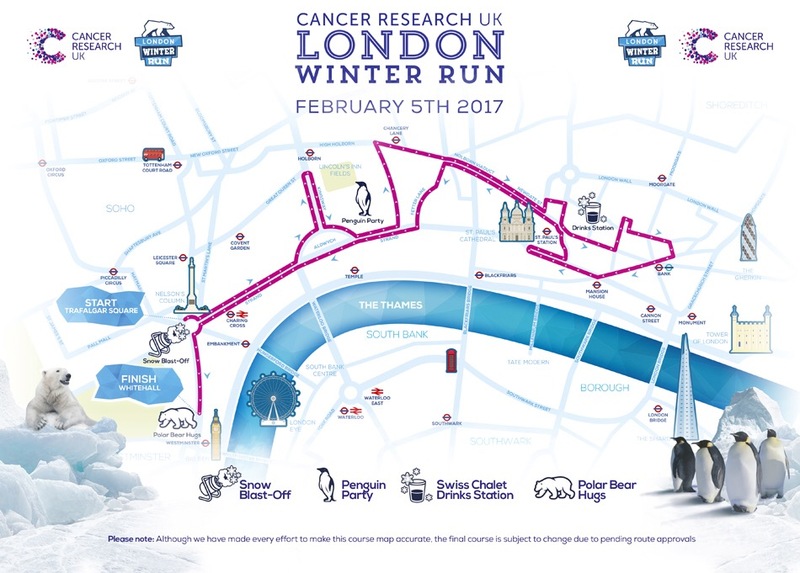 For several years I’ve wanted to run the London Winter Run and this year I grateful to have the opportunity. The run takes place on Sunday 5 February 2017, in just under 4 months. So it gives me plenty of time to get in a few months of training, indulge at Christmas and still have a 5 weeks pre-race to shift the mince pies. I also happen to have quite a perchance for penguins. 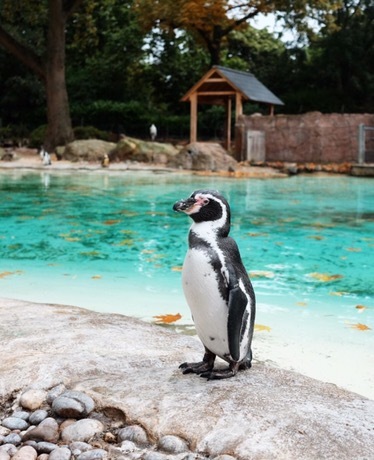 This little guy was my absolute favourite when I recently visited London Zoo. I had to be dragged away and consoled that I couldn’t take him home. Another major plus for me is the course description “no major hills”. Words to my ears! So I can focus on getting a good time (and the Penguins) without having to put every ounce of my being in getting up a blinking hill! As you can see from the image below the route takes in some of London’s finest sites. If you are looking for a race to channel your winter training towards, want to run your first 10km or just fancy dancing with the Penguins, take a peek at the website. To get a few pounds off race entry, to save for a post run hot chocolate you can use the code SIMPELLE3. I will be documenting my training on the blog and over on Instagram, let me know if you will be joining me, I love sharing in other runners journey to race day and seeing familiar faces along the course. 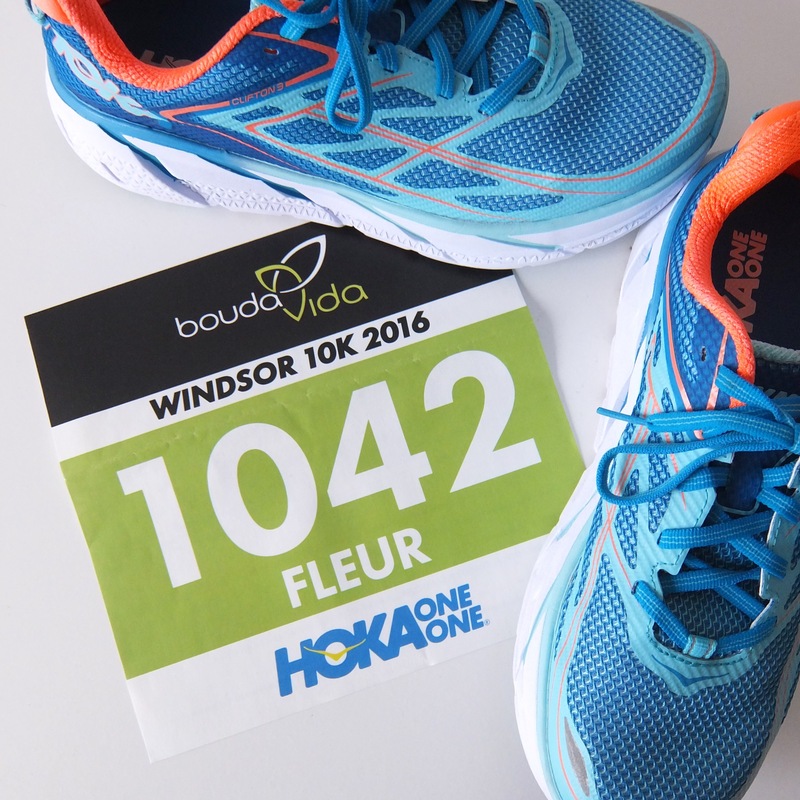 After deciding not to run Richmond marathon I was really looking forward to taking part in the Boudavida Women’s 10km. 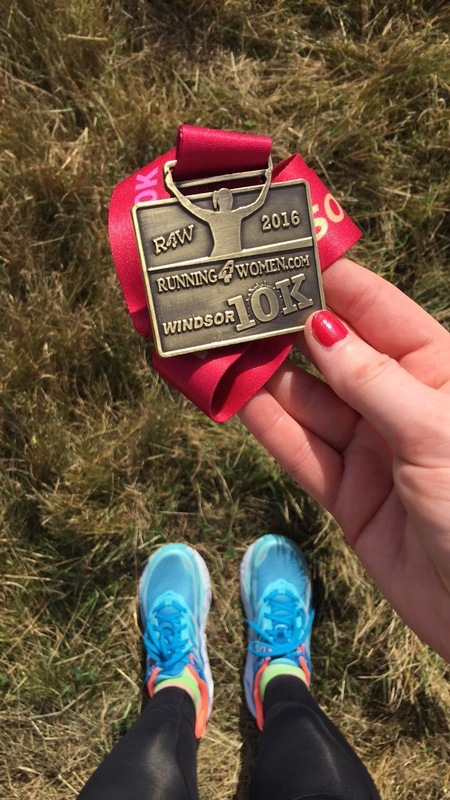 I was grateful to have been given a place as part of the ThisGirlCanRun10 team, part of the brilliant, wider, This Girl Can initiative. 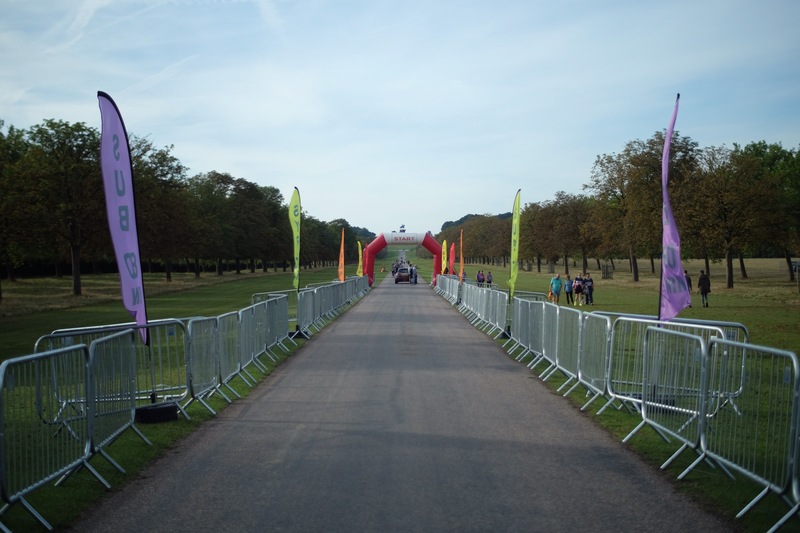 The race took place in Windsor Great Park. I had never been before, but through a great deal of Instagram stalking, I knew I was in for a scenic treat. I most certainly wasn’t disappointed, it’s the most beautiful course I’ve run in the UK to date. Race kit was laid out the night before, shorts, tank top and my Hoka One Ones. Watch, headphones and phone were charged. Had a soak in the bath and a foam roller session before an early night. The alarm was set for 6:15am, which for someone who is not a morning person is painfully early, it also meant that it was distinctly chilly and I decided to ditch the shorts in favour of full length 2xu compression tights. Arriving at 9am the sun was already shining and by the time I was on the start line I was deeply regretting my outfit choice, particularly as it was all black! We drove to the race and there was amble parking available free of charge. If you were looking to go by public transport, the train station is around a 1.5 mile walk to the start. The race village had the nicest toilets I’ve ever visited at a race, they smelt delightful and there weren’t even any queues! 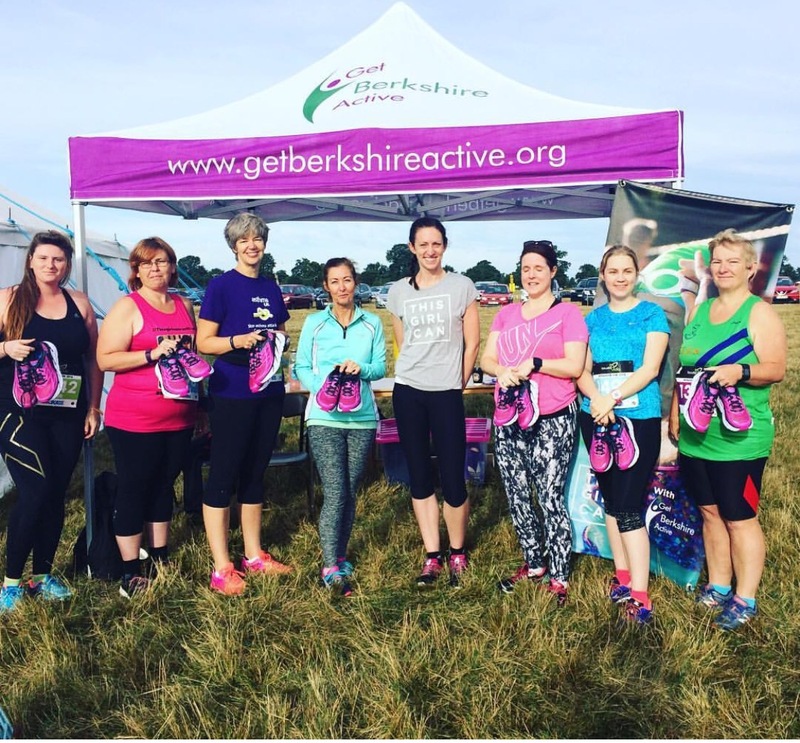 Stood on the start line there was lots of chatter, from beating PBs to ladies running their first 10km, I spoke to a group who had all trained together and were about to embark on their first ever race. 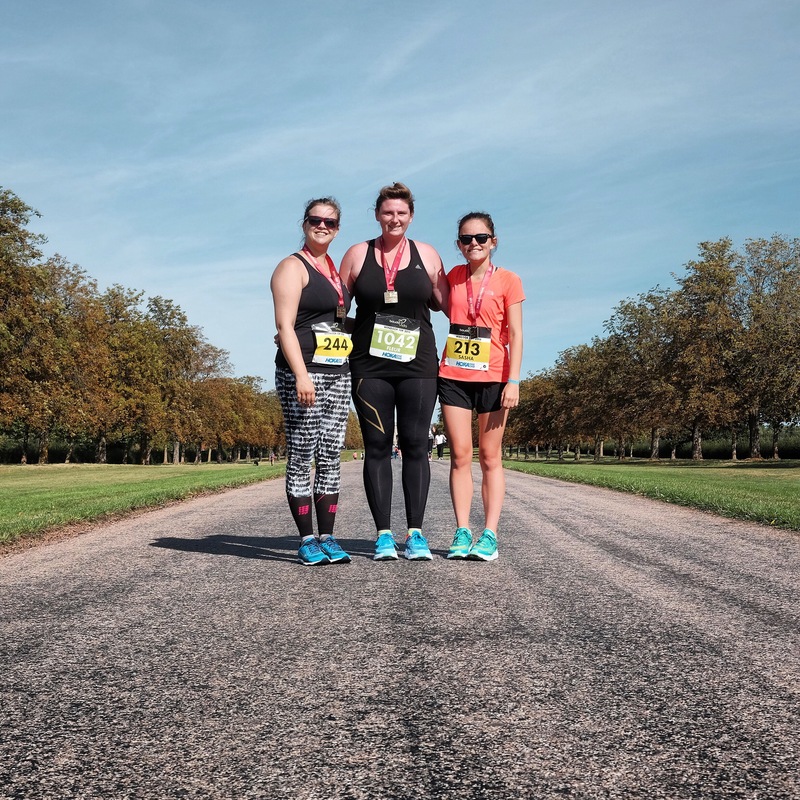 I felt a buzz of excitement for them, I warned them there was likely to be pain and frustration along the way but that feeling as they crossed the finish line would make it all worth while. I had no intention on going for a PB, but I hoped to come in a smidge under my last 10km race in July. I set off planning just to run and enjoy the beautiful scenery. The first 1km involved quite a steep hill, but with a fantastic statute looming and the excitement of getting started I was distracted from the incline. The entire course was a series of relatively steep hills with short stretches of flat in between. Despite the combination of hills and heat I was determined that I wasn’t going to let myself slow to a walk, because if I allowed it just once it would be a mental battle the rest of the race. So I employed the slow plod, with arms pumping up hill and free falling letting my legs gather some speed on the way back down. At 4km on a particularly steep descent, I had a very near miss when my new “extremely high impact” sports bra, which does up at the front decided to unzip; luckily I caught it in the nick of time, but it gives you an idea of just how much speed I was managing to gather down hill. The scenery was stunning and definitely somewhere I would recommend making the trip to go for a run / walk. I ran alongside horses and cows, over ponds I wanted to jump in to cool down and past quaint little houses. Then just when I didn’t think it could get any better I turned the corner and ran the 1.5km stretch downhill towards Windsor Castle, it was magnificent. Crossing the finish line, a smidge under as hoped, I was swiftly given water and a Meridian peanut butter bar and another piece of bling to add to the collection. It was a real bonus to be able to keep walking around afterwards, rather than having to queue. The race was brilliantly organised from start to finish and the number of participants allowed for plenty of room on the course and in the race village. If you can stomach the hills I would definitely recommend it for 2017. 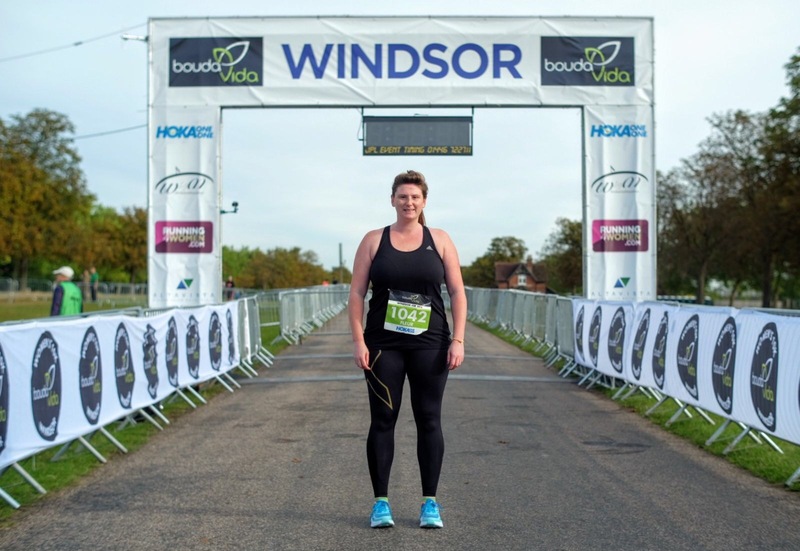 Next year I’m definitely tempted to do Windsor Half Marathon which takes place the same weekend in the same beautiful setting. This was the first race I ran in my Hoka One One Clifton 3s, by coincidence they also happened to be an official sponsor. I loved them in training for their lightweight, bouncy but yet supportive feel and they performed just as well on race day! Not a blister, hot spot or foot pain in sight. Don’t be put off by how big they look, they are in no way heavy or clumpy. Post race I was excited to visit the Boudavida stand, a new activewear collection that has only just launched. I had seen the pieces online but was keen to have a feel of the materials in real life. In post race euphoria it’s probably best they were only exhibiting rather than selling because I would have bought it all! I definitely have my eye on several of their tops and a beautifully crafted running jacket. The rest of the day we combined with pottering around the sites of Windsor, eating lunch by the river and being astounded by the sheer number of swans. All in all a fantastic way to spend a Saturday. We won’t talk about me getting ridiculously sun burnt running for just an hour in late September…..